Before Christmas, I was praying about what to write for my blog. 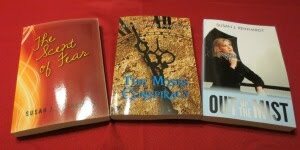 The book review and Friday link posts don't demand as much creativity as the Monday posts. The answers came bit by bit. While shopping for gifts at Kohl's, they had a display of products they sell for charity. A Madeline doll caught my eye, and I was smitten. Both Sweetie Mom and I collected dolls for years until they threatened to take over the house. I'd managed to resist the appeal of these cuties for a long time, but this little girl wouldn't let me go. 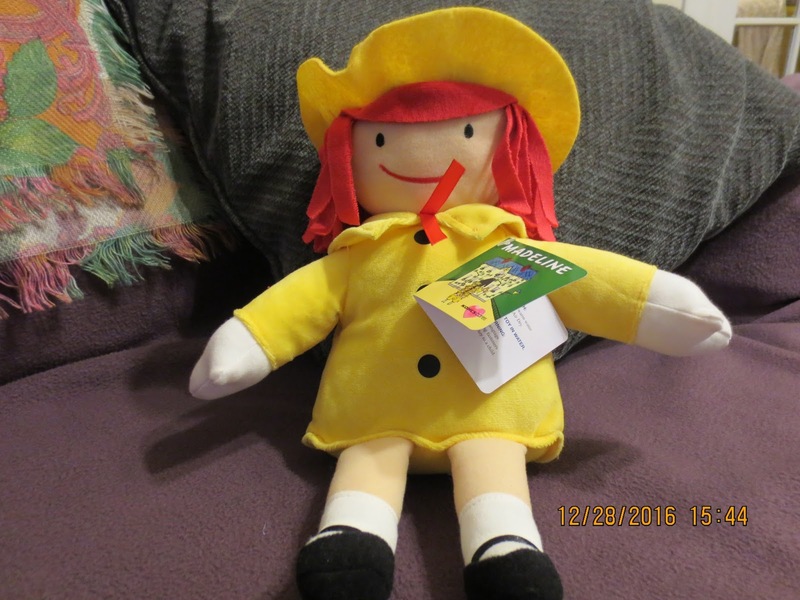 After several trips to Kohl's, Sweetie Mom bought Madeline for me. I later picked up the book that went along with her. After unwrapping her on Christmas Day, I sat down and reread the book. I was struck by Madeline's adventurous spirit. When a tiger roared at the zoo, the other girls cowered behind Miss Clavel, but not Madeline. She stood in front of the cage and studied him without a trace of fear. Madeline made me smile - not a hint of a smile but a big ol' grin. Then the grin turned into a giggle and finally an old-fashioned, tears-running-down-my-face laugh. She reminded me of David in the Bible. As a youth he killed a lion and a bear to protect his father's sheep. He trusted God to protect him against Goliath. He, too, was fearless. I admired David and Madeline - one real person and one fictional child. For the millionth time, I wished I had more courage and an adventurous heart. Unfortunately, I resembled the Cowardly Lion in the Wizard of Oz more than them. The Lord reminded me of several times when I exhibited bravery. Perhaps it was the accounts of young David and Madeline that planted that seed of trust in God's protection and care. It's about trying new things, being adventurous, and not allowing fear to keep me from experiencing all that God has for me in the New Year. Writers and Readers: Do you have an inspirational word for this year? Please share. Susan: Yes, I have a word for 2017. It is Peace. With the world and our nation experiencing so much unrest, I felt the need to find my personal peace, as well as pray for the peace of our nation and our world. I'd forgotten what an inspiration this little miss could be. Glad you shared this, Susan. Have a great week! Hi Quiet Spirit - Amen! Hi Karen - Isn't she sweet? Thanks for stopping by and commenting.